Our syllabi are carefully designed to meet group needs and we can design specific programmes to cater for your group including Cultural, Literature and Business Courses etc. Where students are entering International Classes each student is graded on arrival and placed into an appropriate class. On finishing a course, all students and leaders receive an Individual Exit Report and Graded Certificate of Attainment. Classes range from Elementary to Advanced Proficiency Levels and all students are tested on arrival and placed in a class which best suits their level of English. The main focus of all our Group English Courses Dublin is on communication through spoken and written English. Our highly qualified teachers set students clear learning objectives and use the best techniques to provide practice in speaking, writing, listening, reading and grammar for the English language. During the low season (Sept – June) we offer the closed group option. Here students are tested and the most appropriate group level is assigned. The Syllabus can specifically be designed to meet the group’s needs and each student receives a Certificate of Attainment & Exit Report on completing the course. 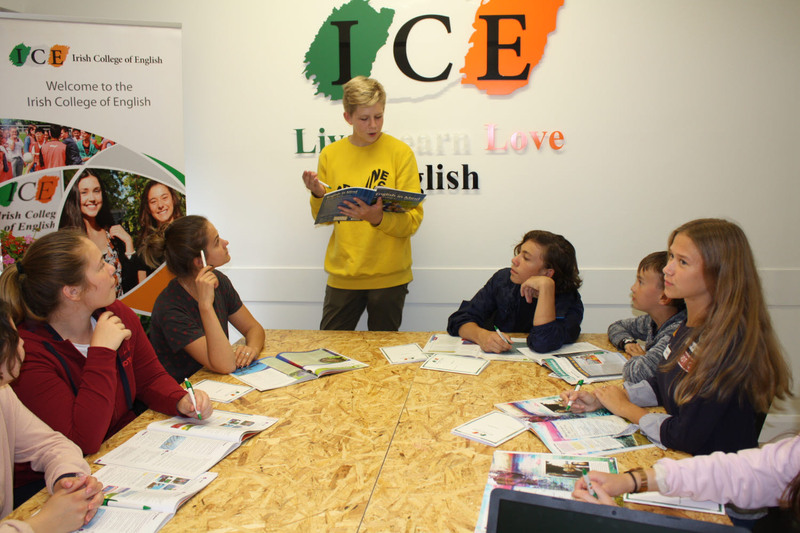 Students learning English at the Irish College of English can enjoy excellent facilities of a modern language school for Group English Courses in Dublin and high quality centre of English studies. The language centre is bright and spacious and have been newly refurbished. Our classrooms hold a maximum of 15 students and all students have individual desks. We have a large student hall, which we regularly use for group activities when classes join together. It is also available as a study area for students. The school has a student common area with comfortable chairs and free high speed internet access. This is a good place to meet other students and relax between lessons while taking Group English Courses Dublin.